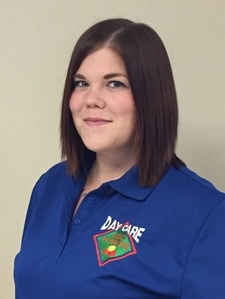 Mika Von Ahn has been a child care provider since 2009 and began work at ABC Huskies in the fall of 2010. Her quiet, loving personality and amazing creativity have made her a valuable addition to our child care team. In May 2012, Mika stepped up to take on the role of Director while she continues her studies working on an Early Childhood Education Degree. She has achieved Step 8.5 on the Oregon Registry for her educational achievements as a child care professional. Effective September of 2016, Mika has also taken on the role as Preschool Teacher as she continues work to meet the child care needs of our clients and provide a quality program. Substitute Providers: Former staff members who remain on our list of Substitute Providers include Katherine Von Ahn and Tonya Baunach. ABC Huskies Day Care is certified as a Group Child Care Home by the Child Care Division of the State of Oregon. To remain certified, staff training is required. "The primary provider and any staff shall participate yearly in at least 15 clock hours of training related to providing child care, of which at least six clock hours shall be in child development or early childhood education." Staff members work with Child Care Resource & Referral through Columbia Gorge Community College to schedule training opportunities in order to meet this annual requirement.